St Mellons Golf Club opened in 1937 and was designed by H.S.Colt. arguably the finest golf course architect who ever lived. He designed over 300 courses all over the world. St Mellons became a Member’s Club in 1964, making 2014 the 50th year anniversary. St. Mellons is situated in between Cardiff and Newport with views of the Bristol Channel on the horizon. The Parkland course takes advantage of the beautiful landscape and provides one of the best tests of golf in South Wales. “The Eagle Bar” has a friendly atmosphere where you can relax with a delicious meal and drink. Alternatively, the terrace may be your choice to enjoy that afternoon drink whilst watching golfers teeing off the first. The “Eagle’s Nest Restaurant” is situated above the bar looking down with a view of the putting practice area and first tee. You can enjoy your society meal, business conference, lunch, dinner or party. Our main function room “Condor Lounge” can host 120 people seated and overlooks the first tee and our courtyard. Ideal for all events, we cater for weddings, christenings and parties. 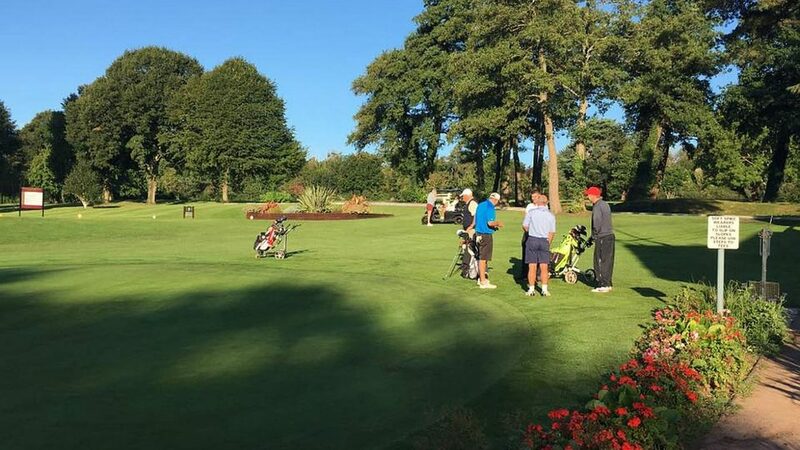 At St. Mellons Golf Club we take great pride in flexibility and professional service, allowing our customers to have the most enjoyable experience possible. We will deliver on service, making sure your day runs smoothly. From East of Cardiff. Leave the M4 at junction 28 follow the A48 (Castleton/St Mellons) for about 4 miles. Left at the roundabout into Cypress Drive and turn left after 800 yds (by the Heron Marsh Pub) – turn immediate left again and ahead you will see on the right hand side a sign for St Mellons Golf Club.